Real Madrid thump Sociedad as Atlético Madrid close the gap. 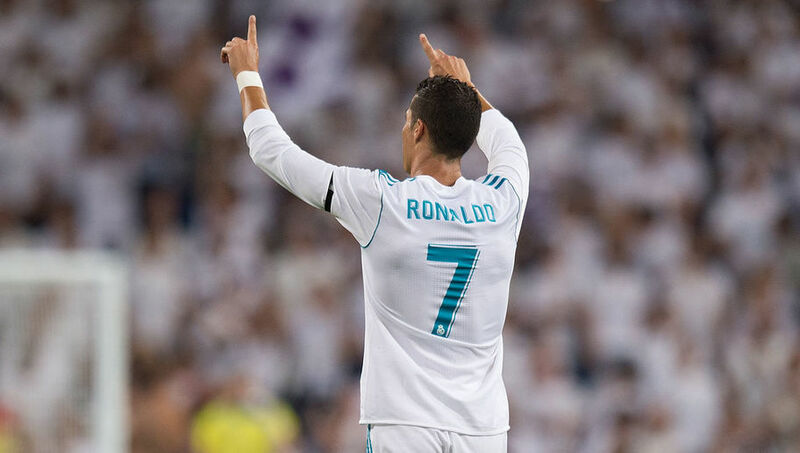 Cristiano Ronaldo scored a hat-trick as Real Madrid moved into third place following a 5-2 thumping of Real Sociedad at the Bernabéu on Saturday night. Ronaldo set up Lucas Vázquez for his first-minute opener before he doubled the advantage just before the half-hour mark. Toni Kroos fired Real’s third in the 34th minute with Ronaldo notching his second – and the hosts’ fourth – three minutes later. Jon Bautista pulled one back for Sociedad in the 74th minute but Ronaldo was again on target 10 minutes from the final whistle. Asier Illarramendi added the visitors’ second in the 83rd minute but it was too late to make a complete recovery. Real Madrid are now on 42 points, 16 behind log leaders Barcelona. Meanwhile, Atlético Madrid closed the gap on Barca to six points with a narrow 1-0 victory at bottom club Málaga. Antoine Griezmann struck the only goal of the game inside the opening 40 seconds.